Another report on employment contracts is discouraging but not surprising. 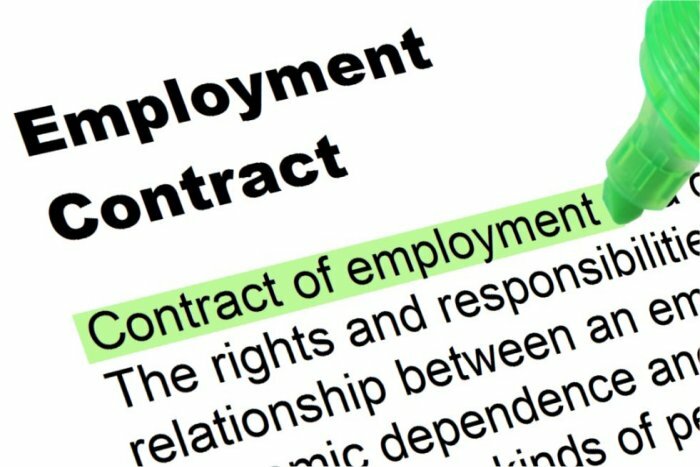 A survey of 1,000 people in the U.K. showed that more than 90 percent didn’t read their employment contracts – despite the fact that the terms can haunt them for years if they are violated. I have written about this subject before, including earlier this fall in regards to a lengthy online nondisclosure agreement that Republican presidential candidate Donald Trump required of online campaign volunteers. It can’t be said too often: Read these contracts. Understand them. Get a lawyer’s help if necessary. My high-level executives often are asked to sign complicated non-compete agreements, and I work with them to get more flexible terms. Non-competes used to apply primarily to well-compensated employees, but they are increasingly used for the rank-and-file. Many people who are asked to sign these agreements consider them fairly innocuous documents, much like the piles of papers one signs when they purchase a home. Buyers sign page after page without thoroughly reading the contents, but they feel fairly confident they understand the terms. For example, when agreeing to a 30-year mortgage, in no way does the buyer believe he/she MUST remain in that home for three decades, right?! They’re not checking into the “Hotel California,” as the Eagles’ song goes. One can leave as long as the loan is paid off. The lender just wants the loan repaid – they don’t take an early departure personally. The mortgage lending process is regulated and fairly normalized, so people feel pretty comfortable with the process. 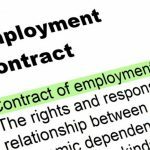 That is not the case with employment agreements in Texas, where employers are allowed lots of leeway in setting terms in employment contracts. Historically, Texas and U.S. laws have been very protective of those who take out mortgages. But in regards to non-compete, nondisclosure and confidentiality agreements, there generally are no similar protections for employees outside of a few states – Texas not being one of them. These agreements vary substantively and substantially. The job may be appealing, but there can be real danger lurking in the employment agreement that comes with it. Additionally, after years on the job, an employee may forget signing a binding non-compete agreement way back when. Or they may not have realized they were agreeing to employment terms when they signed onto the company’s savings plan. Carefully consider all the details, understand the employment terms, protect your own interests. You know the people who may end up suing you if you decide to break your employment agreement. This entry was posted in CEOs, Confidential Information, Corporate culture, Covenants Not to Compete, Executive Compensation, Executive contracts, Non-Competes and tagged confidentiality agreements, employment agreements, non-compete agreements, nondisclosure agreements. Bookmark the permalink.